While you already know that finding those luxury models as used cars for sale — instead of new — is a great way to save some money, you need to understand a few things before you jump into your purchase. On the upside, even buying a used luxury model from early 2000 will have the same (if not better) technology, materials-quality, build-quality, performance, etc. than your base-trim economy sedan found in 2016. While the luxury model might not be as expensive as you originally thought, the repairs and parts sure are. Furthermore, because imported luxury models are sometimes more complicated to work on, maintenance and repairs should be left to the experts. Which is only one of many advantages of buying from a certified dealership, since they house expert service technicians that know these luxury models inside and out. 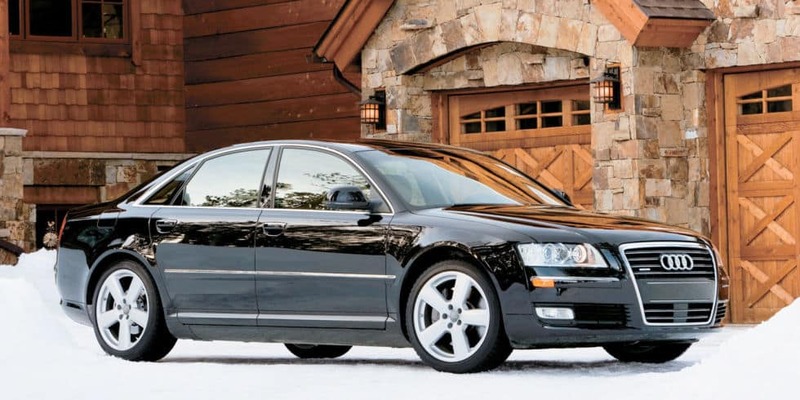 Make sure you read this thoroughly, so you understand what you’re getting into when buying a used luxury model. They provide great value for the dollar, but you need to be prepared to dish out a decent amount of cash if something breaks. Good thing brands like Mercedes, Volvo, and BMW are all known for engineering excellence and lasting many miles, right? It’s amazing how depreciation is the worst enemy of a new car buyer but is an immense benefit for the savvy used car buyer. Especially in the luxury segment, where brands like Mercedes depreciate higher-than-average compared to non-high-end luxury vehicles in the first five years of ownership. This loss in value is how you can get such a great deal on a luxury vehicle. More importantly, it’s why netting a used luxury vehicle — even sometimes one that’s 10+ years old — gets you a car that’s considered better than your base trim economy sedan. The best part? That luxury model is probably cheaper (or around the same price) as that basic economy sedan. Even though the technology and materials have changed, take a look at the range-topping trim of your big-name luxury brands. Notice how they have many more goodies than the highest-trim found on a domestic brand vehicle in the same segment? Now, compare how many features and upgraded or upscaled aspects that luxury model has compared to the base trim of a domestic brand. Quite a difference, right? That concept is timeless, simply because brands that produce high-end luxury models are always light-years ahead of the other car companies. Therefore, buying a range-topping trim that’s seven or eight years old for around the same price as a basic or mid-level trim found on a new economy sedan is going to get you a vehicle that’s better in almost every way. Some luxury models even had technological features years before they were introduced to domestic brands. It all boils down to this: why buy a base trim that’s a bare-bones kit with just the essentials, when you can get a higher-trim used luxury vehicle for the same price? If you’re worried about miles, don’t be. These vehicles are labeled as high-end for a reason, after all. As long as you find one that’s been properly taken care of, mileage doesn’t matter. While nabbing a great deal on a used luxury vehicle is like a dream come true, thanks to the low price, it’s important to understand that while the overall price of the vehicle might be considered cheap, repairs and parts aren’t. No, the dealership or parts store isn’t trying to rip you off with these prices, that’s just the way the chips fall. For example, I used to drive an ’89 Mercedes model that had power windows. The plastic part that slides on the track to put the window up or down broke and fell right off. A primitive system, I know, but ignore that fact right now. As a result, I had a window that wouldn’t stay up. That plastic part — which was no bigger than a pack of sugar — would’ve cost me $40. My quick fix? Jamming a piece of wood inside to hold the window up. Why did such a small, yet significant, part cost so much? Because it was a Mercedes. In order to have a mechanic fix that if I couldn’t do it myself, part(s) and labor would have cost me around 100 dollars. Then again, I was driving a really old model. So I’m sure that if you got one that was slightly newer, it would be easier to find the part and it wouldn’t have to get shipped from Germany. I don’t tell you this to scare you, I’m simply telling you to be prepared. Since they are foreign high-end luxury models, parts cost a lot of money. Since these vehicles are much more advanced than their non-luxury cousins, you need to leave all service to the experts. As a DIY fan when it comes to vehicles, I can personally attest to this. Working on that Mercedes I had is a lot different compared to the Ford Crown Victoria I used to drive, seeing as it had way more advanced systems in it. Not only that, but the layout of everything from under the hood to the fuse box is just different. Thankfully, I never had anything serious go wrong with my car. If I did though, it would have benefitted me to let an expert mechanic take care of it. Particularly, someone from a dealership, since they know what they’re doing. Some of the corner garages I know wouldn’t even touch my vehicle because it was so foreign (pun intended) to them. That was just one of the reasons why it’s worth getting a used luxury model from a certified dealership. Having a trusted place you can go to for repairs when it comes to a luxury vehicle is a huge contribution to your peace of mind when it comes to buying a vehicle with expensive repairs and parts. Why? Because, you know with all the money you’re dishing out for it, the job will get done right. That’s not guaranteed when working on it yourself or going to a corner garage — if they’ll even take the vehicle in the first place. On top of that, you have the opportunity to buy a CPO luxury model. While it might be closer to the same price of a new base-trim model, you’ll still be able to get it at a competitive price. Warranties, someone to guide you through the buying process, and a trusted place to get it repaired — what more could you ask for?